On my desk are three folders. I can’t possibly comment. You judge the effectiveness of our current commissioning system in delivering cutting-edge television to your homes; I just write down what they say they need on a piece of paper and pop it in the red folder. Next to it lies a yellow folder. It contains our “development slate”, the projects our team has created in response to the broadcasters’ wishes. We work them up, spend a fortune on train journeys to London for pitch meetings, and wait for a response. We’ve developed a lot of patience. Then, right at the edge of my desk, just above the waste bin, is a grey folder. It’s fat and bulging, and on the cover is a single word: “Rejects”. Why, you ask, do we keep these failed flashes of inspiration? Why not just drop them straight in the bin? Because they contain, in my humble opinion, some very good ideas just waiting for their moment. In time, one faded commissioning editor will move to pastures new to be replaced by a more enlightened colleague, who might possibly share our enthusiasm for an idea we consider “different, exciting, edgy and out-of-the-box”. 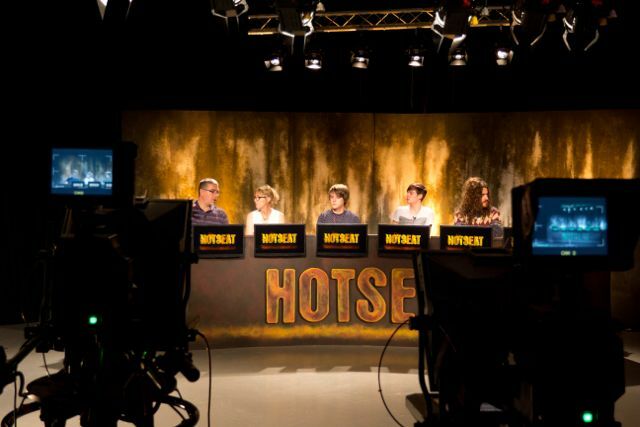 A month ago we dusted off a gameshow called Hot Seat from our “Rejects” folder because a new commissioning editor had liked it. More than “liked”, he had “loved” it. I’d mentioned it to him in passing while discussing the network’s need for new (yawn) property and cooking shows. It’s nothing to do with property, or cooking, nor does it have children with two heads. 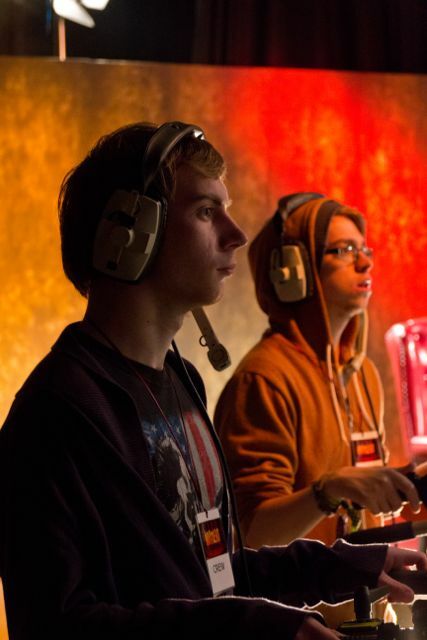 But it’s a really good gameshow, and he saw that immediately. She certainly was. 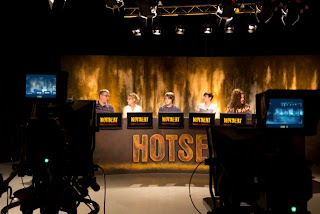 Just two weeks later, sixty students and staff, along with a dozen or so professionals – most of whom had donated their time because everyone knows that a daily gameshow would singlehandedly transform our region’s television industry – shot a full pilot of Hot Seat in the university’s fully-equipped television studio. There were contestants we’d culled from the streets: including a large jolly publican, and a blonde who only liked pink. We installed extra facilities, a topnotch technical team, and even the scenic artists who’d recently worked on a BBC period drama. 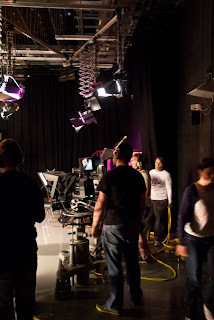 Students manned cameras, sound and edit machines, painted the set, and created special effects. Kirsten O’Brien came up to present, and together we all made a show. But none of this we told the broadcaster. Instead, for his “office run-through” I booked a cinema, so that when he and his team arrived, they found not a meeting room, but comfy chairs and a giant screen. 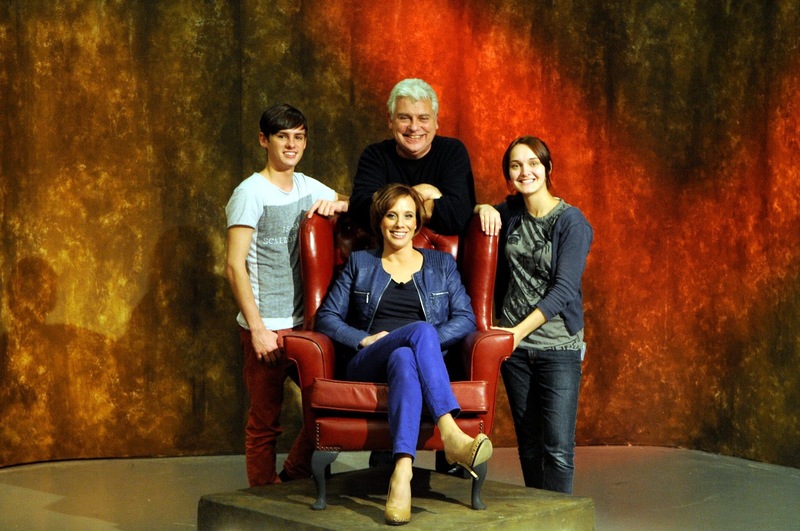 On which we played a complete video of our new show. “What do you think?” I asked, as the credits finished. “Amazing,” was the response. They could not believe it was shot by students. Hot Seat is still a long way from becoming a series but, thanks to a fantastic collaboration between industry and university, it’s been moved from the grey folder to a bright new green one, labelled “Current”. Tom, You've got an award!